Soldiers learn how to handle combat situations inside Haunted House. Grand Prairie Army reservists filed into a haunted house in Arlington Saturday, hoping to better prepare for an upcoming mission in Haiti. Roughly 120 Soldiers practiced clearing rooms, dealing with hostiles and search and recovery in dangerous surroundings. 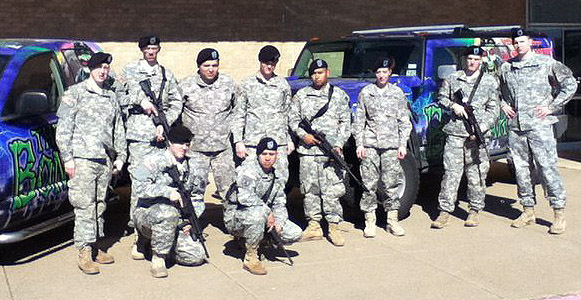 The soldiers from the 302nd Military Police Unit were carrying unloaded guns, but able to practice real-life scenarios. 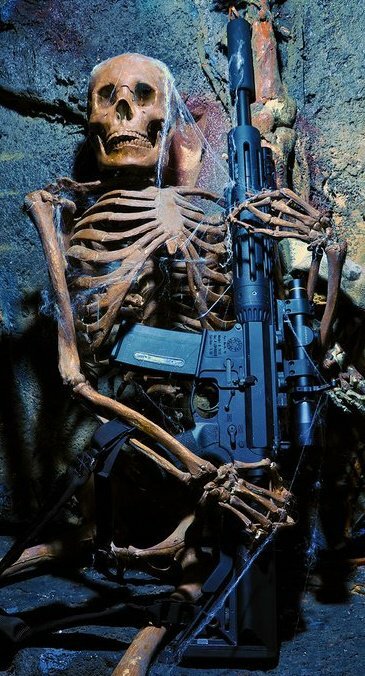 Inside The Boneyard Haunted House, former pilot Dan Hall -- who is allowing the military to use his facility for free -- is using all of his equipment to simulate a real life urban environment. "Someone could take fire on the troops, so as they come in they'll be assessing the area have to clear it for any potential dangers," said Hall. Sgt. Tony Say believes this is what his unit needs to be successful on their mission abroad. "It's real helpful, we don't get this kind of training a lot especially in the reserves limited in-facility type of training we do," said Sgt Say. "To have access to something like this is really great for us." The group will leave in March to serve as force protection in Haiti. Their main focus will be to assist Haitian police while protecting citizens and resources being used to rebuild the earthquake-ravaged country.